The installation of an ignition interlock device (IID) is a standard procedure following certain DUI convictions. The aim of the device is to keep a driver from operating a vehicle after the consumption of alcohol. A common question that arises about IID is whether they’re 100 percent accurate. To answer this question, we’ll have to take a look at the manner in which ignition interlock devices function. The IID is an alcohol breath tester installed inside a vehicle. In order to start the vehicle, the driver will have to do the test every single time by blowing into the mouthpiece. 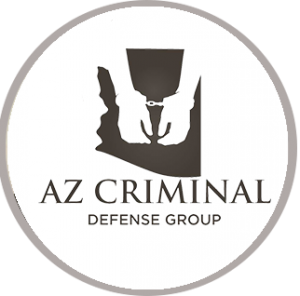 In a sense, the IID is a breathalyzer that will prevent the engine from starting whenever alcohol concentration above the legal limit in Arizona is detected. IIDs are very accurate. Their fuel cell alcohol detection technology is comparable to the breathalyzers that Arizona police officers use during stops. Thus, people who haven’t had a drink don’t really need to worry about the adequacy of the test. While the technology is improving all the time, mistakes could be possible on occasions. Inaccurate results are typically caused by poor calibration but there could be several other issues contributing to a false positive. IID Inaccuracies: What Are They Caused by? 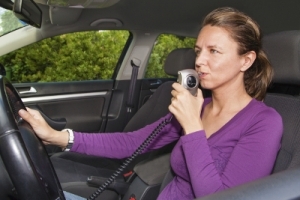 The calibration of the ignition interlock device is one of the most important prerequisites for its accuracy. Whenever a person is ordered to get an IID installed in their car, the device will have to be professionally calibrated. This means that the legal limit of alcohol concentration is set for the purpose of keeping the vehicle from starting after alcohol consumption. If the technician is inexperienced or a mistake is committed during the calibration process, the IID may provide faulty results and keep the vehicle from starting even in cases when the driver hasn’t consumed alcohol above the legal limit. A false positive could also be caused by a compound that the installed breathalyzer registers as alcohol. Fermented beverages, for example, could cause a false positive. The same applies to mouthwash that has been used shortly before getting in the car. Such substances are also likely to produce a false positive whenever the police carries out a breathalyzer test. Studies also suggest that heavy smokers are more prone to getting false positives than non-smokers. Smoking cigarettes and other nicotine-containing products increases the production of acetaldehyde in the human body. This substance is identified as alcohol by breathalyzers. People who fast, those on diets (especially a low carb diet like Atkins) and diabetics could get a false positive, as well. The reason is that such individuals tend to have high levels of acetone in their body and acetone can “fool” ignition interlock devices. Many drivers aren’t aware of this fact but the term IID refers to different kinds of machines. Various companies manufacture ignition interlock devices and the quality of such appliances varies. 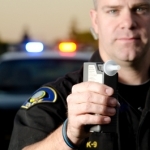 Technological advances are also being made, which is helping the creation of more accurate and reliable breathalyzers. Attempts have been made to eliminate false positives caused by diets and tobacco use. These have had varying degrees of success but manufacturers are attempting to overcome some of the main issues related to the functioning of traditional IIDs. Choosing a quality IID that is calibrated properly will reduce the risk of false positives and give you enough convenience. In the event of getting a false positive, however, you should get in touch with the manufacturer’s support team. Companies that make IIDs have trained customer service reps who know how to address such situations and negate the inconveniences stemming from false positives. 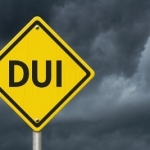 Also get in touch with your DUI lawyer so that legalities are taken care of.